The International Festival of Puppet Theatres “Tumanyan Fairy Tale Day” will kick off in Armenia for the 11th year in a row on September 9, organized by the International Puppetry Association Armenia (UNIMA-Armenia). The festival aims to enliven the cultural life in Armenia’s provinces, Nagorno Karabakh (Artsakh) and Javakhk. This year, the event will be held in Lori and Shirak provinces, as well as in Yerevan. “During its 20 years of activity, Coca-Cola Hellenic Armenia Company has always prioritized its involvement in the social and cultural life of the society. During this period, our Company has supported a number of projects and events. Today we are happy to participate in the organization of the International Festival of Puppet Theatres which undoubtedly occupies a prominent place in the country’s cultural life. Supporting this festival is of particular importance to us as it brings joy and happiness to children both in Yerevan and in the provinces,” said at the press conference Elina Markaryan, Public Affairs and Communication Director of Coca-Cola Hellenic Armenia. 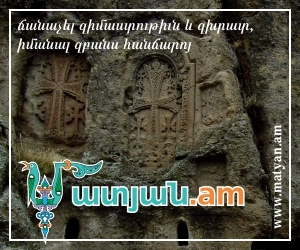 Theatres from Georgia, Russia, Italy, Hungary, Ukraine and other countries, as well as those from Artsakh and the Armenian provinces will participate in the festival this year. “With our festival we first of all aim at developing the art of puppetry, strengthening the intercultural relations and of course introducing the international puppetry culture as well as both Armenian and international fairy tales to our young audience” said Armen Safaryan, President of UNIMA-Armenia. As every year, this year also the festival will start in Dsegh village, where participants and guests will watch puppet performance of Hovhannes Tumanyan’s “The dog and the cat” – dedicated to the 130th anniversary of the named ballad. During the festival, puppet shows will be staged, master classes and puppet making lessons will be offered, daily evening clubs, excursions will be held and films will be screened in Yerevan, Gyumri and various communities across Shirak and Lori provinces. The festival is supported by Shirak Diocese of the Armenian Apostolic Church, the Ministry of Culture, Shirak regional administration, Gyumri administration, Coca-Cola Hellenic Armenia Company and Grand Candy LLC, as well as the Consulate of Italy in Gyumri. Coca-Cola Hellenic Armenia is a subsidiary of Coca-Cola Hellenic Company. It has been operating in Armenia since 1996, being the only authorized bottler of Coca-Cola products in the country. The Company’s beverage portfolio includes Coca-Cola, Coca-Cola Zero, Fanta, Sprite, BonAqua, Burn, Powerade, as well as Nestea, Dobriy, Rich and Schweppes. As part of its CSR strategy the Company puts the social life of the Armenian community into focus, always striving to participate and support public events and national festivities, including, among others, the Erebuni-Yerevan holiday, International Children's Day, Vardavar.